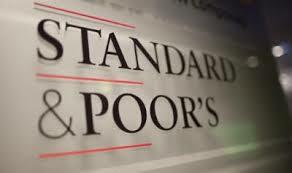 International agency Standard & Poor's (S&P's) revised the rating of the Cypriot economy from stable to positive. This is due to the reduction of the public debt of the country. S&P's upgraded the rating of foreign and local currency from "B" to "B +". Specialists said that the economic and fiscal efficiency of the country were more positive than expected in the last half of the year. In S&P's Noted that a positive trend was supported by the Cypriot government's attention to the budget, the financial sector and certainly structural reforms.